A gangland style murder of a married father-of-two outside his son's school may be linked to the ongoing feud between the Kinahan and Hutch crime families. 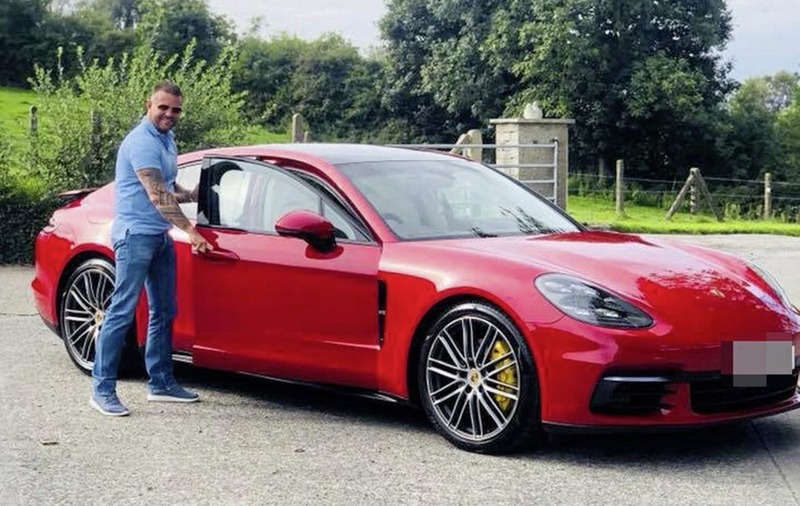 Jim Donegan, known as JD, was shot at least six times in the head and chest as he sat in his red Porsche outside St Mary's grammar school on the Glen Road in west Belfast, where he was waiting to pick up his son. 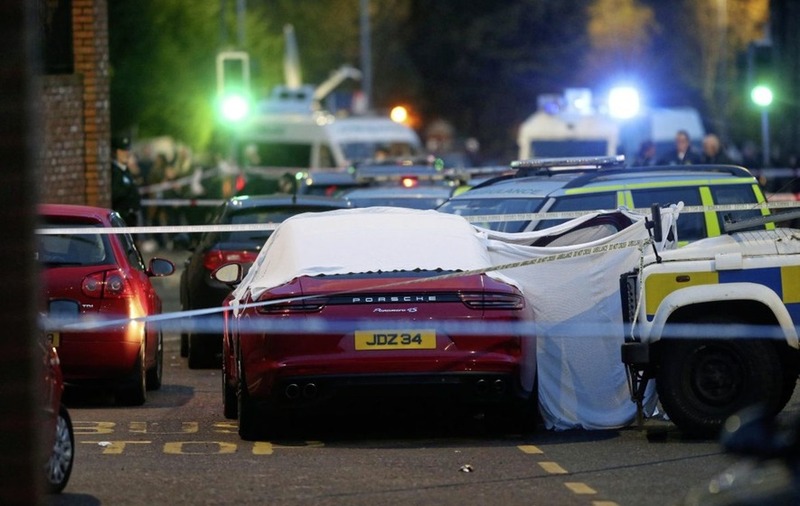 Eye witnesses say a man in a his 40s wearing a hi-vis vest walked up to the victim and shot him through the window of the car in front of horrified onlookers, including young school children from St Mary's and nearby CBS secondary school. 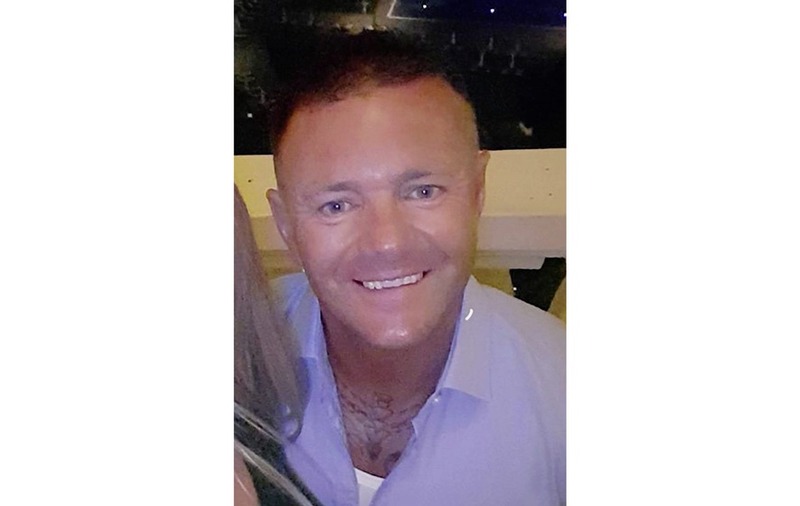 Mr Donegan, aged in his early 40s, died at the scene from catastrophic injuries. 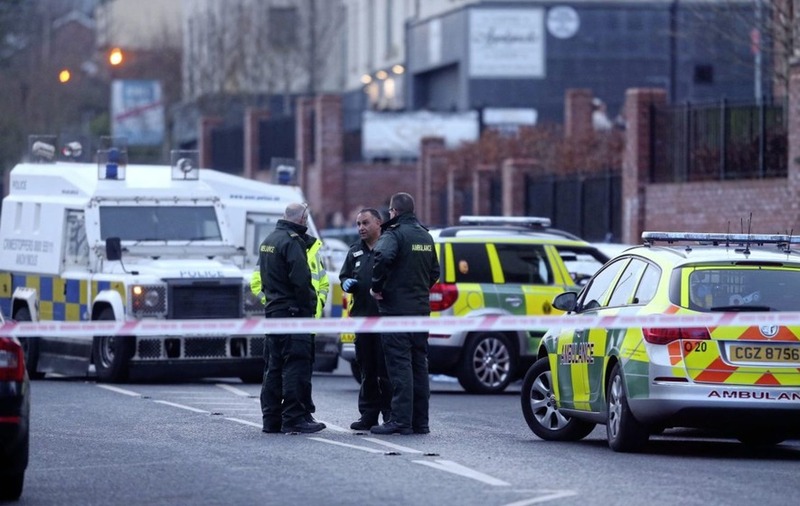 The Irish News understands that the gunman was not wearing a mask and walked away from the murder scene. 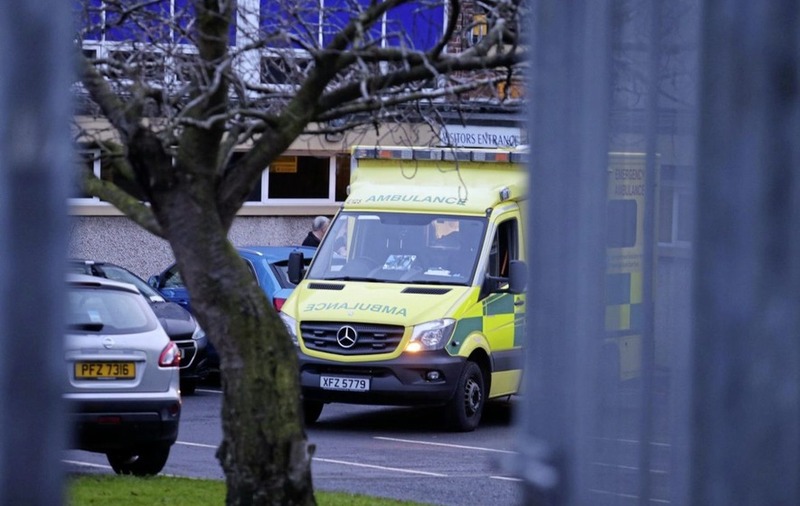 Sources believe the killing may be linked to the Dublin-based Kinahan and Hutch feud which hsa claimed up to 18 lives and pointed to the gunman apparently being unafraid of identification by hundreds of school children and waiting parents. The Glen Road was closed off last night while forensic officers examined the area. The scene of a shooting on the Glen Road where a west Belfast man was shot dead. Picture Mal McCann. Both schools will remain closed today with St Mary's releasing a statement saying "the thoughts and prayers of the principal and all the staff are with our pupil and his family at this sad time". 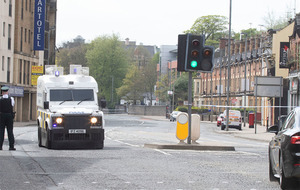 PSNI Detective Chief Inspector Peter Montgomery said: "I would like to appeal to anyone who saw a man in his 40s, wearing a high vis vest with the word 'security' on the back heading in the direction of Glen Road, as well as anyone who witnessed the shooting or was in the Glen Road area from 3pm (on Tuesday), to come forward and speak to police. "An incident room has been set up in Musgrave Police Station and anyone with information can contact detectives there on 101 quoting reference 741 04/12/18. Alternatively information can also be provided to the independent charity Crimestoppers on 0800 555 111, which is 100 per cent anonymous and gives people the power to speak up and stop crime". 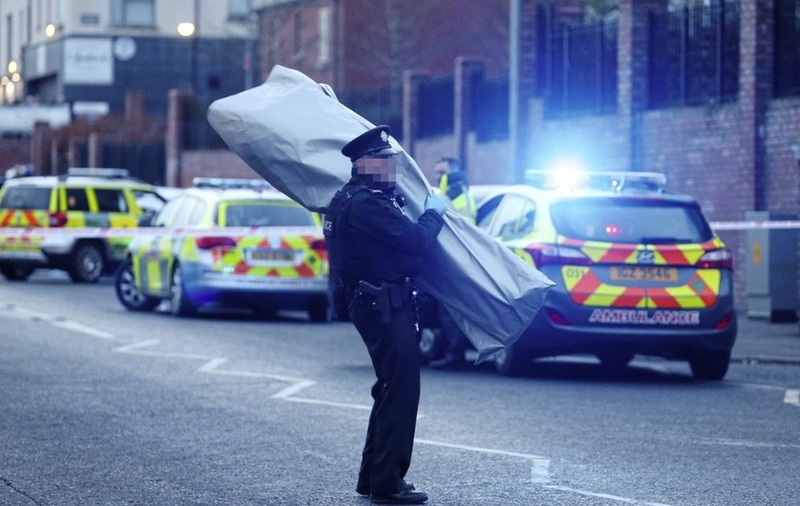 Originally from west Belfast, the victim had been living in a substantial property in Co Down. He married his long term partner Laura in a lavish ceremony two years ago. The scene of a shooting on the Glen Road where Jim 'JD' Donegan was shot dead. Picture Mal McCann. Mr Donegan, who owned a haulage business, was known to have associates and business links to the Republic. His father, also known as JD, lives in Co Louth. 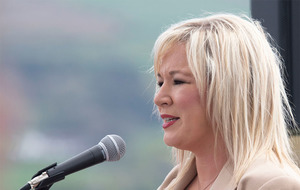 Sinn Féin MP Paul Maskey, said the murder was "disgraceful and horrific". "It is deeply concerning that this killing was carried out in full view of hundreds of kids who were leaving school at the time. "Anyone with any information on the killing of this young man should bring it forward to the police". 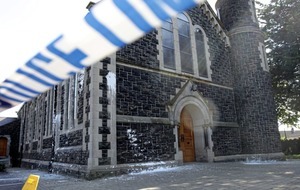 People Before Profit's Gerry Carroll said the attack was "deeply concerning and should be condemned by everybody". The scene of a shooting on the Glen Road close to two schools. Picture Mal McCann. "It is especially worrying given the amount of children and young people in the area at that time, that somebody sees fit to pull a gun and open fire in the middle of the day". SDLP councillor Tim Attwood said: "It is absolutely sickening that a gun was fired in the vicinity of both a primary and secondary school in west Belfast today. "A number of pupils witnessed this fatality and are understandably very disturbed and frightened after this reckless act occurred nearby the school gates". Police at the scene of a fatal shooting on the Glen Road. Picture Mal McCann. The ongoing feud between the Hutch and Kinahan families has so far claimed at least 16-lives. Sources say Mr Donegan may have found himself on the outskirts of the gangland war due to his business links in the Republic. 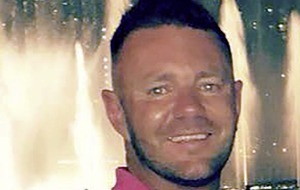 The last time such an attack took place outside a school was in June 2004 former when INLA hitman Kevin McAlorum was shot dead at Oakwood Integrated Primary School in Derriaghy, near Lisburn, where he had just picked up his child. The 31-year-old was driving away from the school when his car was rammed by a van and two gunmen got out and opened fire. He was the older brother of a nine-year-old girl, Barbara, who was shot dead by the INLA at her north Belfast home in 1996.